A SIGNIFICANT point in history concerning Licerio Topacio needs clarification. One biographer, Sol H. Gwekoh, says that had Topacio not gallantly given way to a young man, Emilio Aguinaldo, he would have been the leader of the Philippine Revolution. Another biographer, Benjamin M. Bolivar, claims that Topacio “declined the honor” when Aguinaldo offered him the leadership of the Revolution. Because of the on-going Lachambre offensive in Magdalo territory, only eight Magdalo leaders were able to attend the Tejeros Convention on March 22, 1897. They were Baldomero Aguinaldo, Daniel Tria Tirona, Licerio Topacio, Felix Cuenca, Cayetano Topacio, Crispulo Aguinaldo, Antonio Montenegro, and an unidentified Magdalo leader. Except for Montenegro and this unidentified leader they were all members of the Magdalo Council or Government. 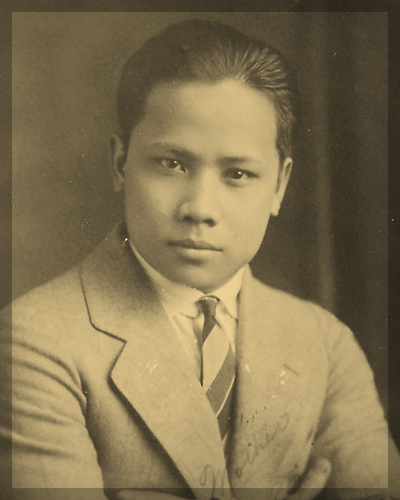 Licerio Topacio was the eldest of the Magdalo present. In deference to his age he must have been considered by the group for nomination as president of the revolutionary Government to be established. But he declined because he was too old (58) and that the presidency needed a younger, stronger man. The next choice was Emilio Aguinaldo, who was absent, defending the strategic Pasong Santol in Dasmariñas against repeated assaults by Lachambre troops. It was an excellent lucky choice. Aguinaldo was elected president of the Revolutionary Government in absentia. Looking back to this crucial incident in our history, it cannot be denied that Aguinaldo had a big edge over Topacio not only in age (28) and stamina but also in military experience and prestige. After the Battle of Imus (September 3, 1986) and the Battle of Binakayan (November 9-11), Aguinaldo’s prestige as a military leader had risen like a meteor, making him a living legend. It was this image as a living legend, more than anything else that won for Aguinaldo the majority votes in the Magdiwang-dominated Tejeros convention. Had Licerio Topacio, instead of Aguinaldo, been nominated in the Tejeros Convention, the chances were that he might have been decisively beaten by a younger and more famous man, Andres Bonifacio, the Katipunan Supremo and Haring Bayan (King) of the Magdiwang Council or Government. Of course, with such an outcome “history would have taken a different course,” as claimed by biographer Gwekoh. 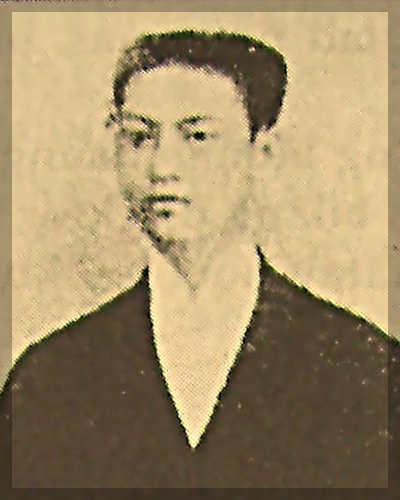 Born in Imus, Cavite, on August 27, 1839, to Miguel Topacio, a former gobernadorcillo, and Marta Cuenca, the young Licerio finished his studies in Imus. He was not able to pursue higher education in Manila. But he kept on developing his inborn talent by self-study, and when the Revolution broke out he showed exceptional leadership in battle. 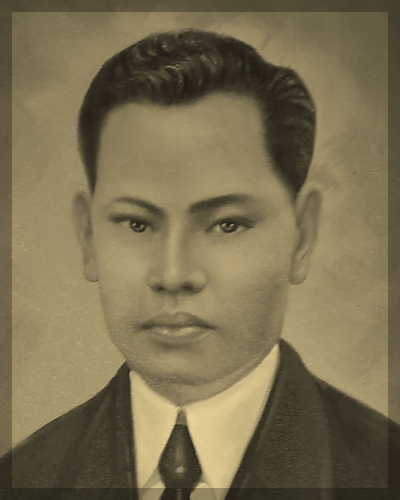 After the Philippine-American War, Topacio was twice appointed as municipal president of Imus. He died on April 19, 1925 at the age of 86. The Ilustrado and landowner who turned general during the Spanish Revolution who took charge of logistics of the Katipuneros and later joined the American Revolution in Cavite. Other than being the owner of most of the lands in Imus, he bought big parcels of land in Bacoor and Las Piñas in order to accomodate the misplaced farmers when the Spanish government of Imus increased the taxes imposed on the locales who worked on the friar lands. Because of this, he was tagged the “bitter foe of the Spanish Friars”. with the two heroes, Dr. Jose M. Rizal and Señor Andres Bonifacio, from midnight till before dawn at his residence to coordinate the plans and activities of the Katipuneros in Cavite. He founded Pilar Lodge No. 15 of the Free Masonry of the Philippines in late 1893 which was recognized by the Gran Oriente Español on June 5, 1894. He initiated General Emilio Aguinaldo; General Baldomero Aguinaldo; General Pantaleon Garcia; and many others on the eve of January 1, 1895. He used the pen name “Langgam”. In 1895, he went to Hong Kong to look for allies to solicit monetary support to the Katipuneros of Cavite. Together with Padre Severo Buenaventura and other Mason friends, he proceeded to Kobe and Yokohama to gain more support. Arms were bought and smuggled from Hong Kong via Binakayan Bay and were ferried using the batels that he owned in the Imus River. Towards the end of 1896, he came back to the Philippines and it was during his frequent secret trysts in Malate, Manila where he was captured by the Spanish Civil Guards and was brought directly to Fort Santiago in Intramuros where he was beaten up and imprisoned, then was sent to Barcelona, Spain and later exiled in Fernando Po in Africa. When the Americans took over the Philippines, the citizens of Imus petitioned for his return from exile and he was sent back to the Philippines in 1899. It was on the same year when he became the Capitan Municipal de Imus (Municipal Mayor), however, he relinquished his position two months after to join the American Revolution. He fell sick due to his weak physical condition from exile that led to his capture at Pulong Saging in Silang, Cavite by the Fourth Infantry of the Americans led by Capt. Duncan. He was brought to Manila and later exiled in Marianas Islands. His physical condition further deteriorated that he was sent back to the Philippines to await his death. General Juan Sarasa Castañeda died at the age of 32 on Wednesday, October 15, 1902. His remains were laid to rest at the Cemetery for Masons in Imus and later transferred to the Castañeda-Monzon Family Mausoleum at the Imus Cemetery. The quite close and trusted general of General Emilio Aguinaldo who was a Representative in the Malolos Convention and one of the two generals entrusted with the defense of Imus, the Revolutionary Capital of the Magdalo Government. He was born in Imus, Cavite on July 27, 1856, finished the teaching course in the Escuela Normal under Jesuit teachers in Manila and taught in Silang, Cavite in 1875. He was married to Valeriana Elises by whom he had three children. Feeling the injustices suffered by the Filipinos, he joined the Katipunan and attacked Fort of Silang with only 30 men on February 1897. He was with General Aguinaldo in the seesaw Battle of Pasong Santol, Barrio Salitran, Dasmariñas, Cavite; he accompanied General Aguinaldo in the Long March to Biak-na-Bato after the fall of the “Little Republic of Cavite” in Maragondon; he fought with General Aguinaldo in the Battle of Puray in Montalban; appointed by General Aguinaldo as one of the five brigade commanders for the assaults in Manila in the beginning of the Philippine-American War and known to be the brave commander of the famous Battalion de Manila; and was promoted to Major General upon his appointment as commanding general of all Filipino forces in Central Luzon when General Aguinaldo launched an all-out guerilla war against the Americans in 1899. He was captured by the Americans in Jaen, Nueva Ecija on May 1900. He was the Presidente del Municipal of Imus (Municipal Mayor) in 1904-1905; Justice of the Peace in 1906-1907; and later appointed Superintendent of the Colonia Agricola in Cavite. After the Philippine Revolution, politics became his immediate concern. He died on August 16, 1936. One of the bravest and youngest generals of the Philippine revolution, a Manileño turned a Caviteño in exchange for his life. He was born in 1874 and resided at Azcarraga Street (now Claro M. Recto Street) in Manila. He was a wizard at the piano and in painting, a good orator, a debater and athlete. He was 23 when he left for Cavite on November 7, 1896 leaving a note to his mother that he was going to “fight for the Fatherland”. Two days after his arrival in Cavite, November 9 – 11, 1896, he received his baptism of fire in the famous Battle of Binakayan in Kawit where General Emilio Aguinaldo’s army voluntaries repulsed a two-strong Spanish offensive under the overall command of Governor and Captain General Ramon Blanco. of Imus against enemy assaults. 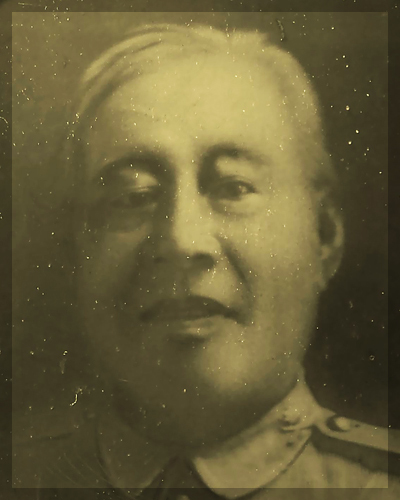 On March 24, 1897 at the height of the Battle of Pasong Santol in Anabu II, he was hit in the abdomen by an enemy bullet while Spanish General Antonio Zaballa was killed together with his aide-camp and while the Katipuneros carried him off the battlefield, he continued shouting commands to his troops. General Crispulo Aguinaldo was also killed in the same battle. He proved himself to his girlfriend’s father that he could fight in the battlefield like one of her suitors, the father in return allowed his daughter to nurse him, but her tender solicitude proved of no avail as he succumbed to urinal complication three days after. People described him as neatly dressed and even daintily perfumed during the roughest combats. The Colonel of the Katipunan whose name could not be erased from the history of Cavite for he led the revolt in Imus against Spaniards during the outbreak of the Revolution in 1896. He was born in Bayan Luma on March 18, 1854 to a prominent family. He was raised in Imus and studied in local school but nothing further about his education was known, however, people who knew him said he lived a simple and good life worthy of emulation. 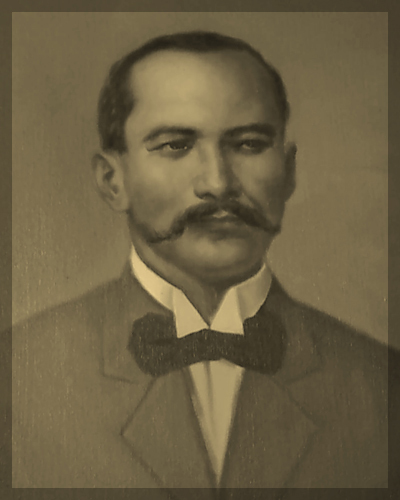 He was the Capitan Municipal (Municipal Mayor) from 1896 – 1898 during the outbreak of the Revolution when Imus became the capital of the Magdalo Council or Government after Cavite el Viejo (now Kawit) was subjected to artillery bombardment of Cavite la Punta (now Cavite City). Imus was formerly a part of Cavite el Viejo which was beyond the range of the antiquated Spanish cannon in the arsenal. He mobilized all able-bodied citizens of Imus when General Aguinaldo launched the Revolution. The first attempt which was a failure was on August 31, 1896 at the “Tulay ng Balimbing”, a bridge obliqued to the 200-year-old Palma residence. After that, he immediately regrouped his men and had the second attack on the following day, September 1, 1896 on the same bridge which was a great success. On September 2, 1896, General Aguinaldo came to Imus after his army was almost wiped out in Bacoor by a large cavalry column commanded by General Ernesto de Aguirre, chief of the general staff of the Spanish Colonial Army in the Philippines. Throughout the night of September 2, 1986, General Aguinaldo assisted by Colonel Tagle prepared the defense of Imus for the anticipated arrival of General Aguirre the following day via “tulay ng Isabel II”, the bridge that connects Bacoor to Imus leading to the beleaguered Recollect estate house and church. General Aguinaldo had Colonel Tagle and his men destroyed a portion of the bridge and camouflaged it with tree trunks and leaves. Coming to a halt upon reaching the bridge in the early morning of September 3, 1896, General Aguirre’s column was met with a barrage of cannon and rifle fire from the opposite end of the bridge followed by bolomen surging forward from nowhere killing the startled enemy including General Aguirre. After this victorious battle, General Aguinaldo appointed Colonel Tagle the new Capitan Municipal of Imus. The place and date of his death is unknown.